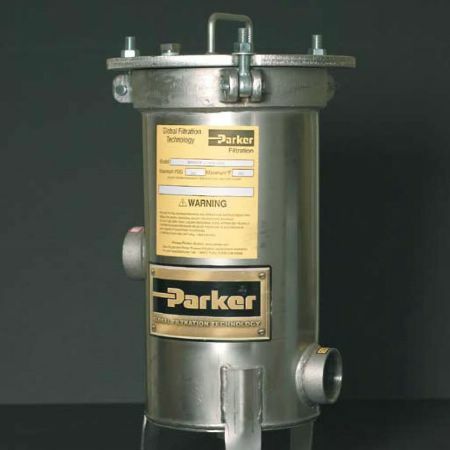 The WH cartridge filter vessels are a lightweight, economical, non-ASME industrial / commercial design suitable for a wide variety of filtration applications. The 100% stainless steel and passivated finish provides superior corrosion resistance and an excellent appearance. The swing type closure bolts and hinged cover design (up to 35 round) make cartridge change-out quick and easy. • 100% stainless steel for corrosion resistance. Bolting is zinc plated carbon steel.